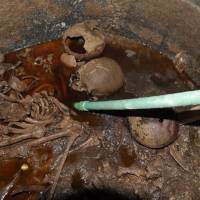 Ancient elixir, skeletal soup — or something less insidious — thousands of people have signed an online petition to “let people drink” a reddish liquid discovered in a 2,000-year-old sarcophagus unearthed in Egypt. The tongue-in-cheek petition, started late last week and entitled “let people drink the red liquid from the dark sarcophagus,” has gathered some 11,000 electronic signatures as of Sunday evening — and looked likely to reach its 15,000 goal as the campaign went viral on social media. However, Egypt’s Antiquities Ministry said in a statement Saturday that the liquid found in the large black granite sarcophagus is neither “juice for mummies that contains an elixir of life,” nor is it red mercury, but merely sewage water. 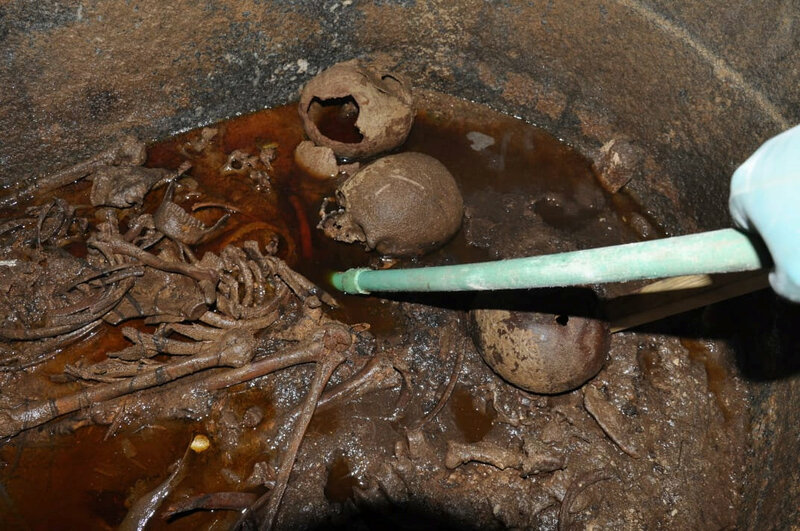 The ministry said the wastewater probably found its way into the sarcophagus from a nearby sewage trench, and may have caused the mummies to decompose, leaving only their skeletons. Speculation had risen that the rare discovery in Alexandria earlier this month may have belonged to the ancient Greek ruler Alexander the Great, but the ministry said the find didn’t belong to any ancient rulers, adding that the remains were undergoing tests for more information. Still, hours after the release of the information that the liquid was not, in fact, an ancient elixir, those signing the petition appeared undeterred. “The people of the world have a right to drink dark questionable fluids,” wrote one under the name Paul Craig.